When you need cash-not the 50 bucks you get from an ATM to tide you over for the day but, rather, $5,000 or $10,000 to handle an emergency-what asset or resource will you tap into to get it? Historically, the answer to that question was a home-equity loan. This was the normal course of action, because most people had built up lots of home equity. Prior to 2008, it was routine for many to discover that their houses had increased in value by 50 percent or more even if they had owned them only a decade or so. Therefore, if someone needed $20,000 or $30,000 for an addition to the house, to help pay their children's college tuition or to cover a medical bill, it was easy enough to tap into that equity. And with interest rates at historical lows, they could do it and still keep their mortgage payments steady. Well, those days are long gone. It's all thanks to the 2008 credit crisis, which caused many to lose their houses or watch their values plummet to the point that substantial home-equity loans were no longer so readily available. So if you need cash now, where are you looking to get it? Unfortunately, retirement accounts have replaced the home-equity loan as the predominant source of cash today. They have become America's new piggy bank. We know this because the IRS collected $5.7 billion in penalties in 2011 for early withdrawals from 401(k) plans and other retirement accounts. (This is the latest data available.) The penalty for withdrawing before age 59½ is 10 percent, so this means that Americans in 2011 withdrew $57 billion from their retirement savings long before they were supposed to. If you're considering borrowing from your 401(k) retirement plan, you are most likely thinking: "What's the harm? I'm just borrowing from myself." Well, think again. Nothing could be further from the truth. Borrowing from your retirement plan for any reason-no matter how serious that reason may seem to you-will hurt you in the long run. It's a sure way to destroy your retirement savings and put you at risk of having a lot less money than you had planned for in your golden years. Borrowing defeats the purpose of the account. The money is there for one reason only: to provide for your retirement. No matter how urgent you think your present situation is, it will be nothing compared to what you'll experience when you're in your 70s or 80s without adequate funds. You simply must find another solution to today's problem. The magic of compounding will be lost. 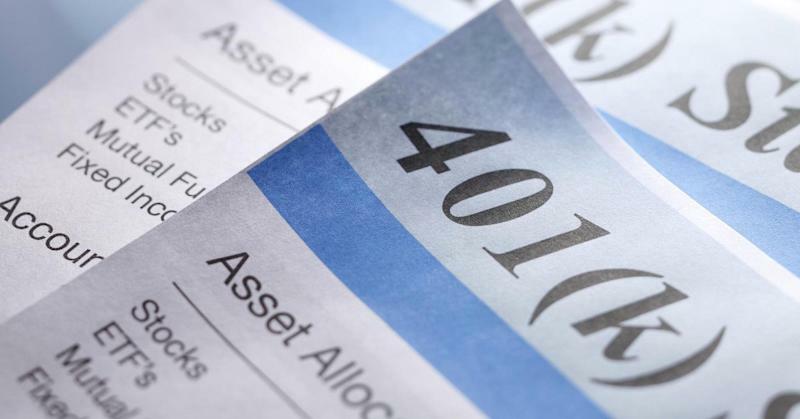 Pulling money from your 401(k) means that you're selling some of your investments. If they continue to rise in value, you won't get the profits and the compounding power that goes with them. You're likely to sell low and buy high. As you pay back the "loan," you're rebuying the previously sold shares-but at current (and probably higher) prices. You shouldn't need me to tell you that that's the exact opposite of what an investor should do. You will be charged added interest and fees. Most plans charge an origination fee of $75 regardless of loan size, and this goes to the administrator-not back into your account. Thus, if you borrow $1,000, you've lost 7.5 percent right away. While the interest you pay, which is based on prevailing rates (about 5 percent for many plans last year), goes back into your account, that's money you otherwise could have invested for potentially higher returns. So paying interest-even to yourself-reduces the amount of wealth you could otherwise generate. Contributions could be suspended. Many plans won't allow you to contribute to your 401(k) until you've paid off your loans. In some cases that could mean years, during which period you've lost the advantage of reducing your taxable income. Your take-home pay will be reduced. Most plans require you to start repaying your loan via automatic paycheck deduction starting with your next pay. Thus, your take-home pay is reduced, possibly by more than the amount you were contributing to the plan before. And this repayment isn't tax-deferred, so your taxes could rise, lowering your net pay even further. Failure to repay by the deadline will trigger a tax risk. Most 401(k) plan loans must be repaid within five years. If you fail in that, your employer will treat the loan balance as a distribution, triggering income taxes and the 10 percent early withdrawal penalty if you're under age 59½. You could also be forced out of your plan and prevented from contributing in the future. There's additional risk if you quit or lose your job. If you leave your employer, the loan will be due within 90 days. But wait-you've already spent the money. If you don't meet the deadline, the IRS will consider the unpaid balance to be taxable income, and you'll face the same tax issues previously noted. And now you're in trouble with an unrelenting lender-the IRS. You'll incur double taxation. Loans from your 401(k) actually cause you to pay taxes twice. Why? Because you're repaying with after-tax money and then later, when you withdraw the funds in retirement, you'll pay taxes on that same money again. You will still be in debt. If you borrow from retirement savings to pay off other debts, you've simply exchanged one debt for another-and taken on all the above disadvantages in the process. A study by T. Rowe Price found that borrowing $10,000 from a retirement plan will reduce your account balance at retirement by $100,000. A 2013 Fidelity study pointed to yet another danger: It found that, of 180,000 who took out 401(k) loans over the past 12 years, 66 percent took out more than one loan, 25 percent borrowed three or four times, and 20 percent did so five times or more. Thus, initial borrowing could put you in danger of becoming a repeated borrower, thereby causing even greater damage to your retirement savings. So for all these reasons, discipline yourself to avoid borrowing from your 401(k) retirement plan or any other workplace retirement plan-no matter how badly you need cash. Find another way to get the money you need. By doing so, you'll come to appreciate what a huge favor you did for yourself by allowing your account to grow without setbacks. And it will make for a more comfortable retirement. -By Ric Edelman, special to CNBC.com. Edelman is founder and CEO of Edelman Financial Services.